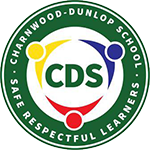 The subjects Science, History and Geography are often taught as an integrated curriculum unit at Charnwood-Dunlop School. The subjects follow the Australian Curriculum in Science and History and the ACT's framework Every Chance to Learn, in Geography. The Australian Curriculum; Science, is divided into three main strands - Science Understanding, Science as a Human Endeavour and Science Inquiry Skills. Each main strand then has different areas of its own. For example the strand Science Understanding is broken into Biological Sciences, Chemical Sciences, Earth and Space Sciences and Physical Sciences. Across each school year, students at Charnwood-Dunlop School are taught the required content from each strand. The Australian Curriculum; History is organised in to two interrelated strands - Historical Knowledge and Understanding and Historical Skills. The content taught in these subjects is often a focus at our school's Learning Journey held every year in term 3, where students display a lot of the work they have covered, particularly in integrated units.